Missile to the Moon & Frankenstein's Daughter (MMM-1970) contains two scores by the marvelous-but-unheralded composer and orchestrator, Nicholas Carras. 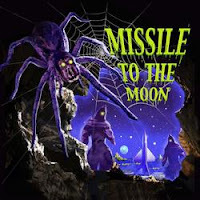 Although written for two low-budget 1958 science fiction films directed by Richard Cunha, there is a wealth of invention and good, old-fashioned fifties sci-fi fun on this 60-minute CD. 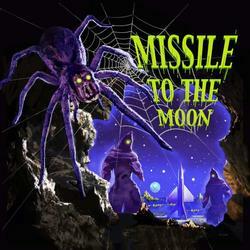 Besides soaring electric violin, pummeling Rock Men underscore, scary giant puppet-spider music, lovely melodies for gorgeous Moon maidens, and thundering Frankenstein music, there are bonus cues featuring spacey musical sound effects by the legendary team of Jack Cookerly (Atomic Submarine, The Black Scorpion) and Elliot Fisher. 5/5 I have to give another glowing review for this score and this label... if you love this types of films, then you will love these types of scores. You have to see the trailers and you know I love it, it's behind classic... it brings back those great sci-fi and cult-horror memories. Frankenstein's Daughter sounds pretty cool. Especially the well-placed bongo drums.